BOO! 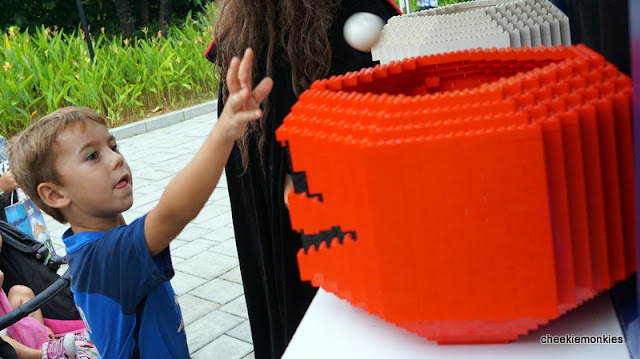 LEGOLAND Malaysia Halloween Brick-Or-Treat 2018 + GIVEAWAY! 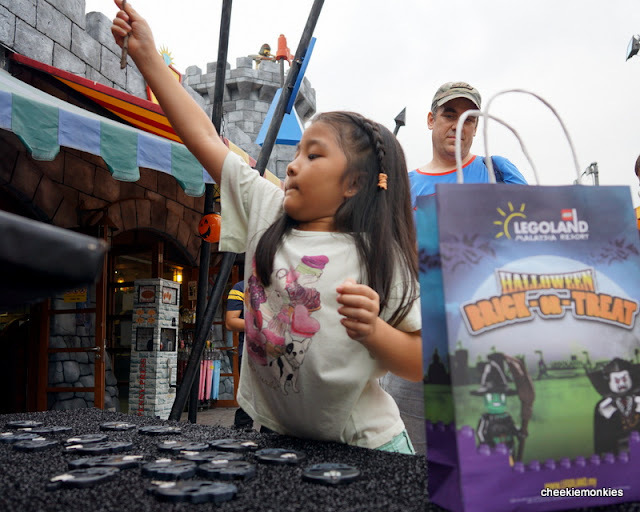 It's that time of the year again, when LEGOLAND Malaysia's Brick-Or-Treat Halloween Party returns in all its spooktacular glory! Hang on, so does it mean LEGOLAND Malaysia will be overrun with vampires, mummies and ghouls for the month of October? Well, you can't scare me. 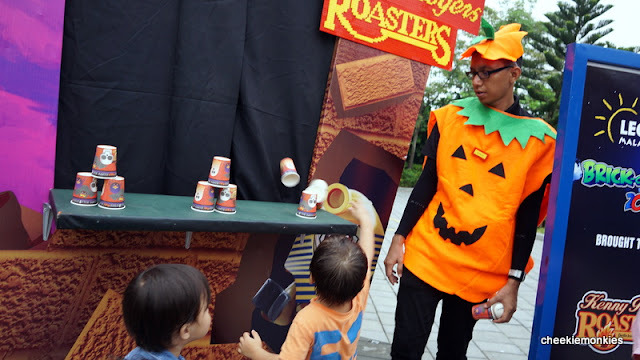 But in all honesty, Halloween at LEGOLAND Malaysia is anything but scary. Because how scary can a Vampire that comes in the form of a LEGO Minifig be??? Throw in plenty of kid-friendly activities like speed building challenges, live shows, activity trail and meet & greets, and I think kids will wish to spend an entire day at the park! 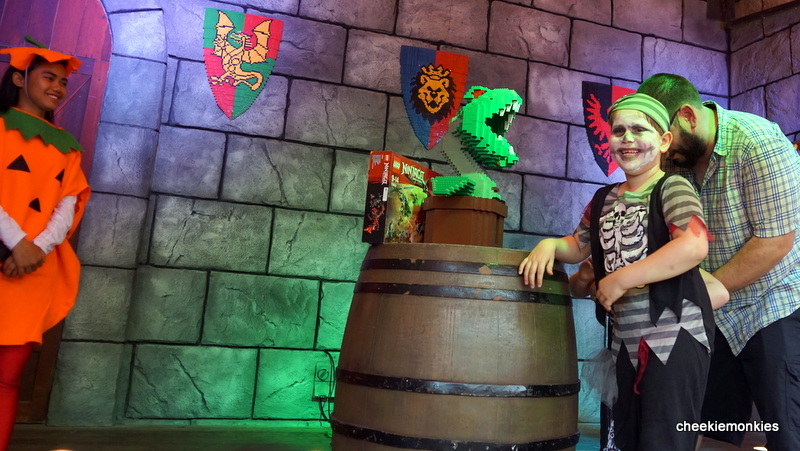 As a rule of thumb, most of the Halloween activities are taking place at LEGO Kingdoms Castle area with one of the attractions being the Castle of Grim. I think this is probably the 'scariest' of the all the Halloween activities at LEGOLAND Malaysia because of the dim lighting and eerie atmosphere. It is essentially a maze, which we had to navigate from one end to the other... with a few surprises at each turn. The boys were unfazed the maze but Ale got a little scared towrds the end, all because of him. 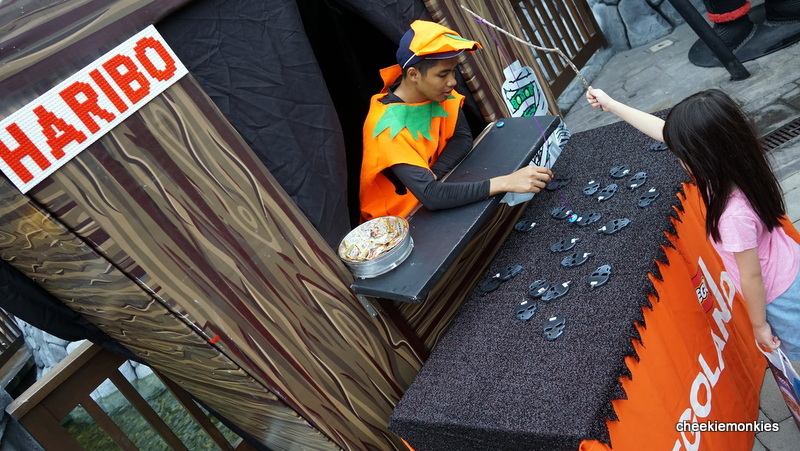 But there are no sudden shocks or people jumpong out from nowhere within the maze so it is still pretty kid-friendly. Heh. For something more fun (and brighter), head to LEGO City at 4pm where a Monsters' Parade will be taking place daily. Don't let the name fool you... the parade is NOT spooky at all. In fact, it is so fun that park visitors are encouraged to dance along with the kooky Halloween-themed LEGO characters! Expect to catch a glimpse of many of the kids' fave LEGO characters! And don't say I didn't warn you... you may just get wet from all those water blasters too! Of course, what's LEGOLAND without LEGO building challenges, no? 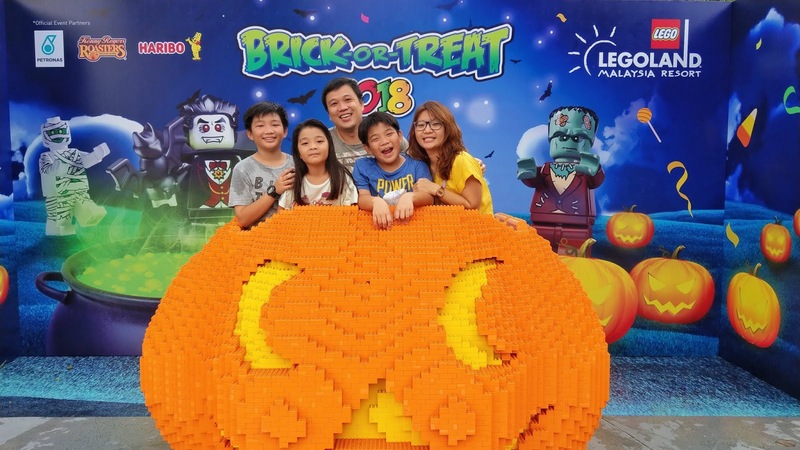 Kids will be able to participate in the Halloween Building Activity where they get to build the ultimate spooky LEGO in order to win the coveted limited-edition Halloween DUPLO Brick. 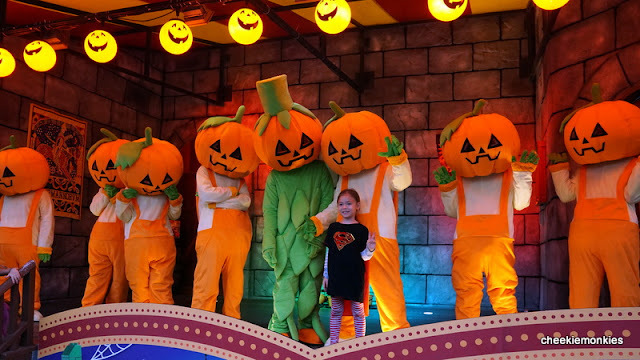 While all of the above Halloween activities are happening daily throughout the month of October, a huge bonus awaits visitors every FRIDAY and SATURDAY in October. The hugely popular Brick-or-Treat Night Party returns from 5pm to 8pm - yes, the park closes at 8pm on Fridays and Saturdays - with tons of activities that make the 3 hours fly by instantly! Or at least that was how the monkies felt. At this lively party, kids can put their imagination and innovation to test with a Speed Building Challenge and their problem-solving skills in the Hut Activity Trail. Just grab the free empty goodie bag and head to the various activity kiosks to complete the challenges. And in return, the kids will receive sweet treats and other prizes to fill up that bag! Better yet if they are dressed in Halloween-themed costumes, because that will mean they can take part in the Best Costume Contest too... more prizes to be won! And it probably pays to dress your kid in a Halloween costume when visiting LEGOLAND Malaysia because ALL KIDS WHO ARE IN FULL HALLOWEEN COSTUMES ENTER FOR FREE FROM NOW UNTIL 30 OCTOBER 2018! 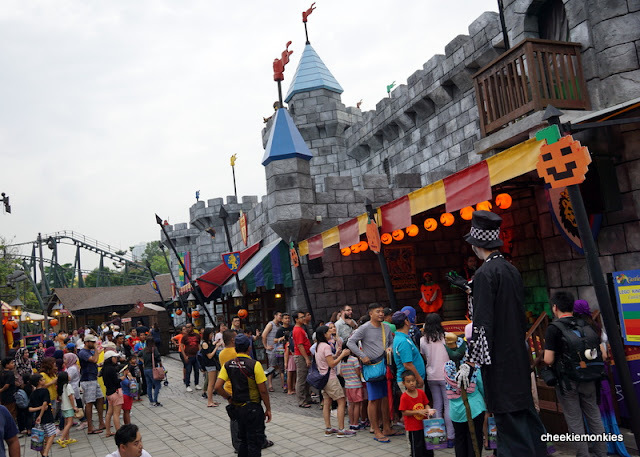 Not only that, LEGOLAND Malaysia is offering a special admission price of only RM88 (S$29) when you visit the park on Fridays and Saturdays from 5pm to 8pm. It gets better for Premium Pass Holders, you get to bring a friend into LEGOLAND Malaysia for FREE on Fridays & Saturdays in October! So yes, families get all the fun not the scares at LEGOLAND Malaysia this October! P.S. The monkies had a blast with the SengkangBabies at LEGOLAND Malaysia so hop over to their post to read more about the fun they had too. I have TWO sets of LEGOLAND Malaysia Theme Park tickets to give away. Each set consists of FOUR tickets. CONGRATS to FELVIRA YEO and CAROL NEO! You have each won one set of 4 tickets to LEGOLAND Malaysia Theme Park! 1. LIKE LEGOLAND Malaysia's Facebook page HERE. Giveaway ends on 15 October 2018, 2359 hours. Im a mum to 3 children (7,4 and 18months old). Would really love to win this giveaway as it would be a nice treat for my family since Legos is our family favourites! Its been a tough period for my family as my dad just got a heart attack and we've not been bringing our children out due to me having to take turns going to and fro hospital looking after him. He's currently recuperating at home, so it would be nice to surprise my children with this giveaway! my 3.5yo love to use his creativity on those bricks! Hope to win for the Legoland Malaysia. Need to have an excuse for this getaway trip. Hubby is working as a cab driver so tough for him to go for a trip without him worrying about daily rental/relief driver. As a wife, I'm learning to understand the pressure he is having but we do need to recharge, rejunevate and refresh and bond with the kids while we can too. Please let me win this. My two monkeys at home will confirm like this. They love halloween nights with pumpkins and skeletons around them. They will definitely enjoy themselves at Legoland Malaysia. Liked and Shared!!! love to win this trip for my girl who's starting P1 next yr. Liked! Would really love to win and take my 3 kids there this year end holidays! Thank you! Have been thinking to bring my toddler there to have some fun and a short staycation to relax for us. Would really love to win.